An alarming “brain drain” of executive talent is projected for the coming years as retirement looms for many . . . yet few replacements have been groomed to fill their shoes. High potential candidates account for less than 8 percent to 10 percent of the talent pool. Identifying, developing, and retaining these emerging leaders is a mission-critical challenge for CEOs, senior executives, managers, and HR directors. 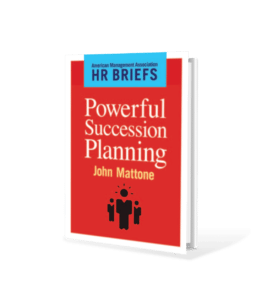 Powerful Succession Planning provides a succinct but thorough overview of how to develop a succession planning and human resource management program. The Succession Planning Map™ helps guide the process, aligning vision and values with the actual steps and processes that make up an effective program. The five-step “nuts and bolts” plan for any talent assessment/succession management effort includes conducting planning meetings, building design architecture, documenting outcomes, and implementing the program. Nine key assessment tools used to calibrate potential leaders’ performance, potential, and readiness are identified and described, with detailed information on the strengths of each. Lastly, a succession management diagnostic tool helps any organization quickly gauge the health of its succession planning process.